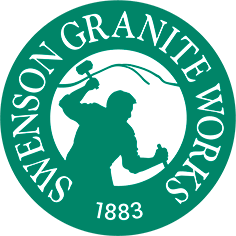 At Swenson Granite Works, we’ve supplied stone for countless pool and spa designs. Our Woodbury Gray granite and bluestone tend to be the most popular choice for coping, decking and patios. Before we dive into a few stunning pool and spa projects featuring these materials, let's take a look at what makes them so luxurious. Granite coping with a full-bullnose pool edge provides a durable and welcoming touch around pool and spa edges. Sandblasting the granite coping helps reduce slipping. Woodbury Gray is favored by many of our customers because it doesn’t get as hot as dark colored stone, it’s maintenance-free and available for special order. Bluestone also makes perfect pool coping due to its non-slip properties. This material typically has a thermal finish, and the warm hue blends well with the water. Granite pavers and thermal bluestone are commonly used for pool decking and patios. We see many designs that use the same material for both the pool coping and decking, but there are some that feature two different stones; for example, bluestone coping with Woodbury Gray granite decking. Not only are granite and natural stone slip resistant, naturally durable and maintenance free, they are also beautiful in appearance and have a consistent look that can stand the test of time; all features that make them ideal for pool coping, decking and patios. Swenson Granite Works can help you enjoy a resort-style retreat all summer long by working with you to choose your features and plan your pool project from start to finish. We can also connect you with a contractor in your area.  Visit one of the nine Swenson Granite Works stores located throughout New England. With Woodbury Gray granite and bluestone from Swenson Granite Works, these luxe pools and spas make perfect staycation destinations. The swimming pool at this Martha’s Vineyard estate contains custom granite coping and paving. The decking is Woodbury gray granite with a thermal finish. Three retractable fountains along the pool’s west side can be activated for an elegant water feature. Woodbury Gray granite coping and custom cut pavers create this pool patio design in Rye, NH. The granite not only adds coastal charm to this oceanfront home, it also enhances it with its durability and weather resistance. Project by Andover Landscape. Photography by John McCarthy. The 60-foot gunite lap pool at this contemporary minimalist home in Andover, Massachusetts features natural stone veneer, dark gray pool tile, and Woodbury Gray granite pool coping, pavers and rock face steps. The neutral tones blend beautifully with the surrounding wetlands. When seated inside, the pool actually appears to be an infinity-edge pool due to the height of the Woodbury Gray granite terrace – a unique illusion that ties the interior to the landscape. GET ALL THE DETAILS ON THIS PROJECT HERE. This contemporary pool patio design in Andover, Massachusetts features Woodbury Gray granite coping and pavers. One side of the lawn has a minimalist appearance, with inlaid pavers in the form a geometrical grid and granite curbing extending from the treads. On the other side, the pavers form a small patio perfect for a gathering around the fire pit. Could there be anything more relaxing than a soak in the spa while gazing out at the ocean? The spillover spa is installed adjacent to the in-ground pool and incorporates a waterfall design. Woodbury Gray granite was used for the patio pavers and coping. What an incredible ocean view for this pool and spa featuring Woodbury Gray granite coping and decking. At this Cohassatt, Massachusetts estate, the pool and patio are separated by stone walls constructed of New England fieldstone. The pool coping and decking are bluestone. Woodbury Gray granite steps lead through the stone wall to the pool area. A spillover spa incorporated into the pool deck is a luxury for relaxing soaks. The thermal bluestone deck is perfect for this pool and spa surrounded by natural charm. Doesn’t the crystal clear turquoise water in this pool resemble the tropical sea? Surrounded by pristine landscaping, this pool area featuring thermal bluestone decking and special order bluestone coping is the perfect place to lounge in luxury. Surrounded by lush hostas, coneflowers, astilbe and star clusters, this spa is made from weathered quarry veneer with a bluestone cap. The step is a single Woodbury Gray thermal top, rock face step. Bluestone pavers were used as stepping stones. The thermal bluestone patio and special order bluestone coping blend beautifully with the surrounding lush greenery at this private backyard oasis in Hingham, Massachusetts. Woodbury Gray granite steps connect the two-tiered patio. Ready to start designing your pool area? Our spec sheet will help you choose pavers for your pool deck and patio. See options for stone types, shapes, sizes, colors and textures. Download it here.